PECK Civil worked closely with the City of Glendale Parks and Recreation department and Northeast Trees on the design and layout of the park, including the horse trails, horse corral, bike path, parking area, lawns, drainage structures, and infiltration areas. 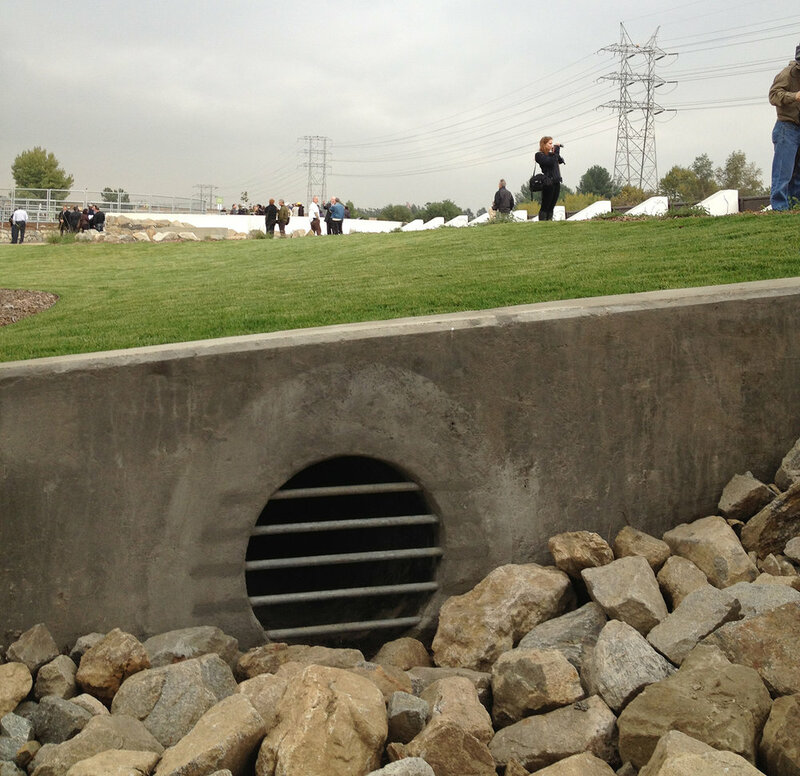 Once the design was completed we created the full Civil package including modifying the existing storm drainage system to include surface swales and infiltration areas. We prepared the drainage plans, site cross sections, and the cut and fill calculations. Because the project straddled three cities, abuts the LA River, and crosses under the 5 Freeway, we worked with a number of agencies and municipalities, including the City of Los Angeles Public Works, the City of Burbank Public Works, the City of Glendale Public Works, the US Army Corps of Engineers, and LA County Flood Control. In addition, PECK Structural designed the modifications to the site retaining walls and the modifications to the drainage inlet structures. We assisted with the design of the new gates and railings that were designed by local artisans as an art component of the project.